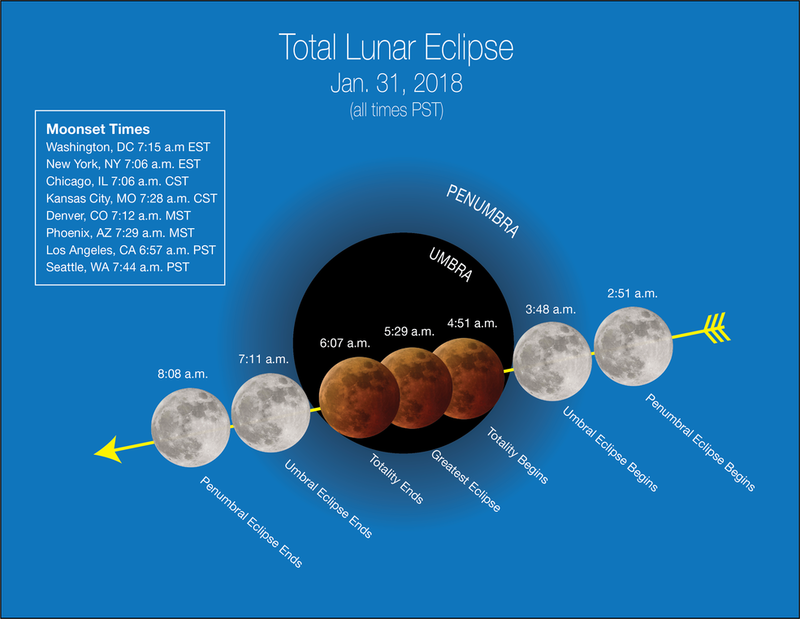 January 29, 2018 – Sky-gazers are in for a rare treat Wednesday, January 31, when three celestial events combine to create a super blue blood moon. NASA Television and the agency’s website will provide live coverage of the celestial spectacle beginning at 3:30 a.m. MST. Weather permitting, the broadcast will feature views from the varying vantage points of telescopes at NASA’s Armstrong Flight Research Center in Edwards, California; Griffith Observatory in Los Angeles; and the University of Arizona’s Mt. Lemmon SkyCenter Observatory. 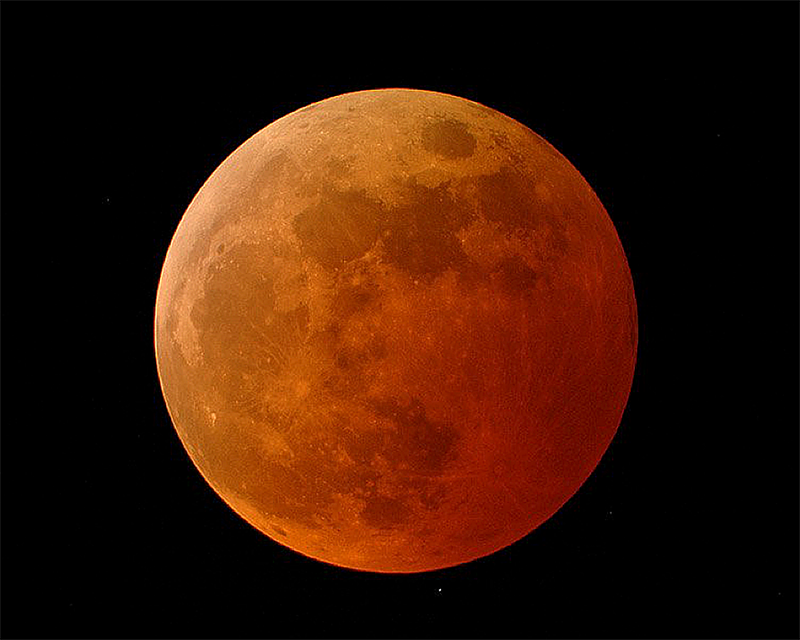 This event offers a rare opportunity to see a supermoon, a blue moon and a lunar eclipse at the same time. A supermoon occurs when the Moon is closer to Earth in its orbit and appears about 14 percent brighter than usual. As the second full moon of the month, this moon is also commonly known as a blue moon, though it will not be blue in appearance. The super blue moon will pass through Earth’s shadow and take on a reddish tint, known as a blood moon. A total lunar eclipse occurs when the Sun, Earth, and a full moon form a near-perfect lineup in space. The total phase of the eclipse will last 1 hour and 16 minutes. The whole process will take more than four hours. If skies are clear, the U.S. West Coast, Alaska and Hawaii will have the best view of totality, from start to finish. For the eastern U.S. and Canada, a clear view will be limited as the Moon sets and the Sun rises during the early stages of the eclipse. The last total lunar eclipse occurred September 27-28, 2015. The next total lunar eclipse visible across North America will occur January 21, 2019. The January 31 eclipse is the third in a series of supermoons in December 2017 and January 2018.